This month Chicks is celebrating its 20th and I find myself reminiscing. I started ice climbing in Ouray’s box canyon, at the north end of the Uncompahgre River Gorge. It was 1985—a decade before the Ouray Ice Park came to be. At that time there were only a few climbs in the box canyon. These natural ice climbs were steep and intimidating. I remember it was very cold and the ice was hard. But 25 years ago, I felt invincible! 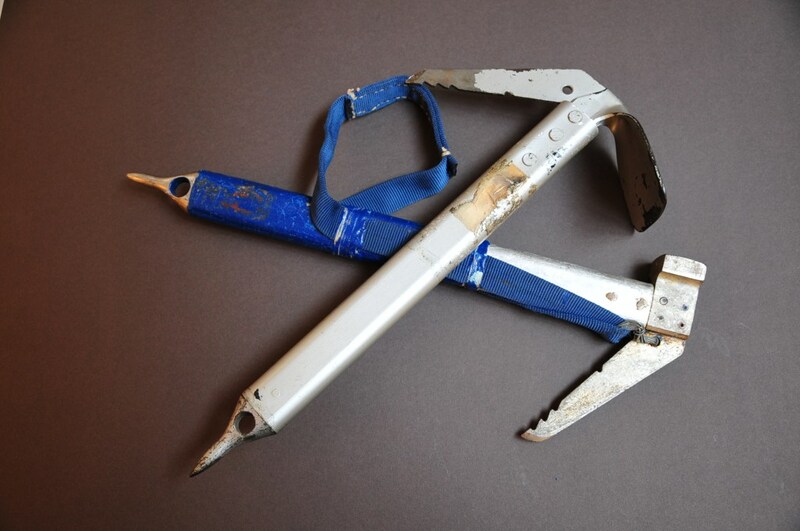 Despite wool mittens and half-inch webbing that leashed my tools to my wrists and cut off my circulation, I still managed to fight my way to the top using ice axes just like those pictured above. Two winters later I traveled with my boyfriend to the Highlands of Scotland. There I cut my multi-pitch-climbing teeth up a long gully on Buachaille Etive Mor in Glen Coe. I still vividly remember the aesthetic of that long strip of ice. It filled a deep cleft to the summit of this epic, pyramid-shaped mountain. Climbing The Buachaille gave me things I had never experienced before: the surreal way the ice glistened, the quiet of winter and the singular reward of focused effort. I endured cold for hours. I suffered multiple bouts of screaming barfies. I banged my knuckles with every whack. But I walked off the summit knowing. Climbing made my heart sing. When Kim Reynolds started Chicks in 1999, she invited me to guide. It was at Chicks that I found my tribe—strong, motivated and fun women. Together we were a force. I still climbed with my boyfriend but I’d discovered the magic that happens when climbing with other women. I became a Chicks lifer. I continue to cherish the friendships and partnerships from all the years of Chicks; and, I can’t wait to party with my tribe here in Ouray where it all began for me 25 years ago. I’d love to see you all here to help us celebrate women, climbing and Chicks. For details on our big public party go to Chicks 20th Anniversary Celebration. For the Chicks Alumni Happy Hour at Kitty’s House in Ouray, January 24, 2019 5-6pm. RSVP kittycalhoun007@gmail.com.